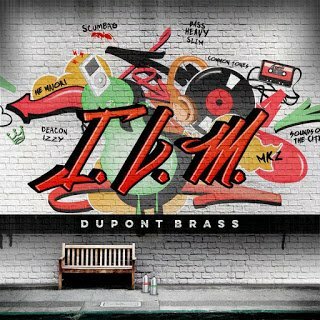 DuPont Brass Album Release Party is this weekend! Weekend plans include the hit play “Rabbit Summer” by Ally Theatre Company, Art of Resistance Workshop, Vodou Symbolism, Dance Dance Party Party, Metal v. K-Pop, Riverdale Park Farmers Market…and that’s just Thursday’s menu! Read on for more great, local things to do this weekend! Bruce Gewirz has studied sonnets written over the last 600 years, and has written over a thousand sonnets and a number of other poems to his muses over the last 36 years. He presently resides in Mt. Rainier, Maryland. A fun and scholarly perspective on Beyonce’s visual album, performances, and imagery with Synatra Smith. Join us for a night of screenprinting and discussing current events at our ARTivist workshop. Poster board to make protest art will be supplied. If you’d like to screenprint other items like t-shirts, please bring them. Finished pieces can be used in preparation for upcoming protests scheduled at the end of January. This workshop is taught by artist Natalie Zeitz. ICYMI: Go Check Out “Rabbit Summer” by Ally Theatre Company! Join us for our Friday Night Sewcial. Bring a project to work on — we’ll provide the machines, light snacks, and wine. Please keep in mind this is not a lesson per se, but we’re also happy to provide any help or advice you need with your project. Check out this world premiere tragicomedy which examines the fracture point of a marriage and a friendship. An exploration – both tragic and comedic – of legacy, gun rights, secrets not well kept, and what it means to “live your truth” in an America built on lies. Mature audiences; explicit language/themes including gun violence. Read my review here! DuPont Brass is an eclectic, soulful, brass ensemble hailing from the D.C. Metropolitan Area. Originally composed of five music majors from Howard University trying to raise money for tuition during the Christmas season, DuPont Brass has now grown to a 9-piece ensemble consisting of brass and a rhythm section. Learn how to balance all muscle groups’ strength and flexibility, with an emphasis on challenging the core muscles with each movement. We’re honored to host a discussion with storied journalist Kevin Klose after the 8pm screening of THE POST on Saturday, January 20. Don’t miss the chance to hear an insider’s perspective on the historical events portrayed in the film. Back by popular demand! Our second “Mommies and Mimosas” brunch includes raffles, brunch specials, drink specials + more! Must RSVP to 202-465-0350. Hope to see all the Mommies & Godmommies there! Learn to make simple wire-wrapped jewelry and go home with something new to wear! You’ll learn to make simple bead links, wrapped briolettes, and a few other useful techniques– everything you need to make necklaces, bracelets, and earrings of your own. CoCo B. Productions and The Prince George’s African American Museum and Cultural Center invite you to join us in creating a collage of inspiring images and words to help empower you to turn your vision into a reality in 2018 and beyond! Inaugural concert will feature series curator Annette Wasilik along with Nicole Belanus and Kipyn Martin.